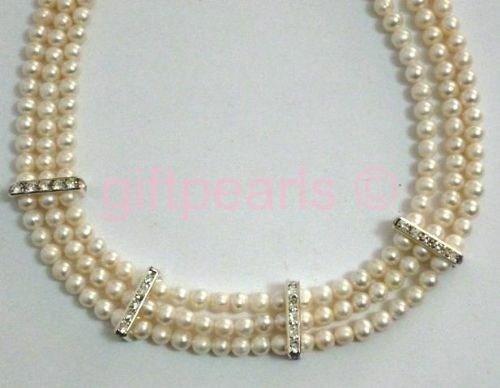 Cool White 20 inch grade A pearl necklace with designer clasp. Home / Pearl Necklaces / Pearl Necklaces £41 to £100 More surprises! 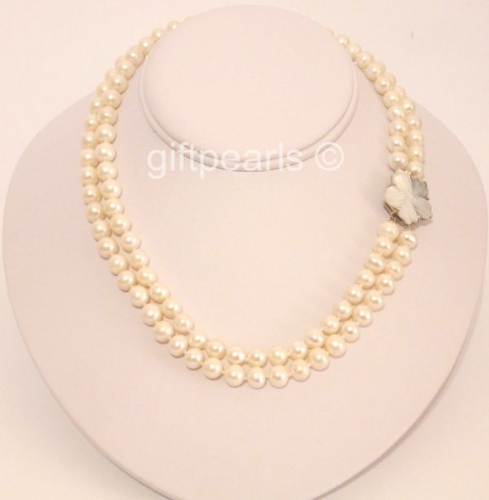 / Cool White 20 inch grade 'A' pearl necklace with designer clasp. 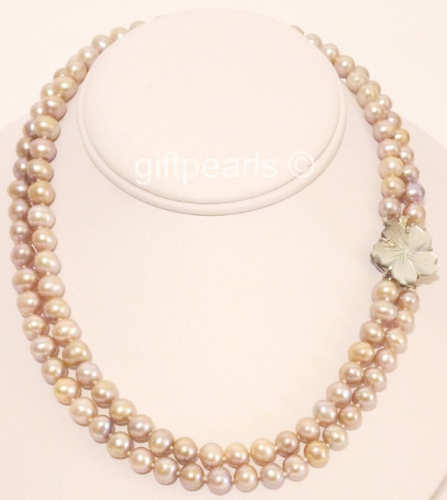 Simply beautiful 7.5 - 8mm 'A' grade fine quality pearls on a generous 20 inch necklace, with a magnetic designer clasp. 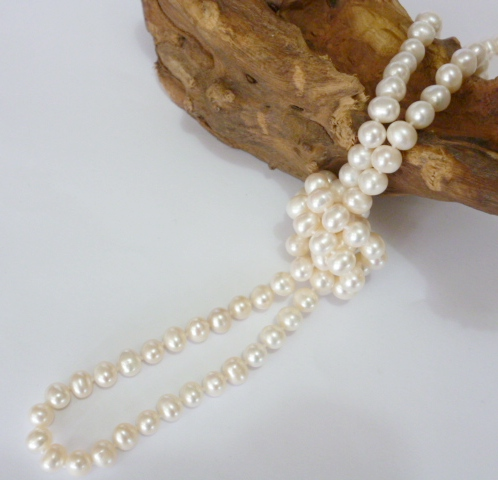 Your pearls come in a pretty and practical purse or an elegant gift box, at no extra charge. 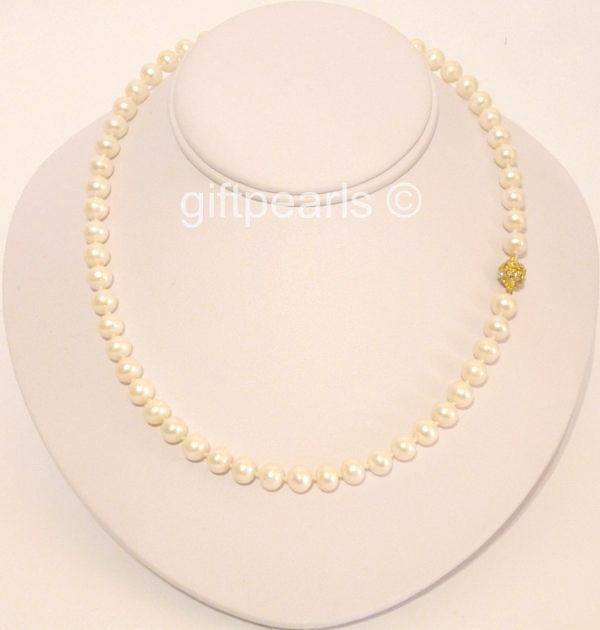 Elegant, 'Princess Grace' style necklace with optional matching bracelet.